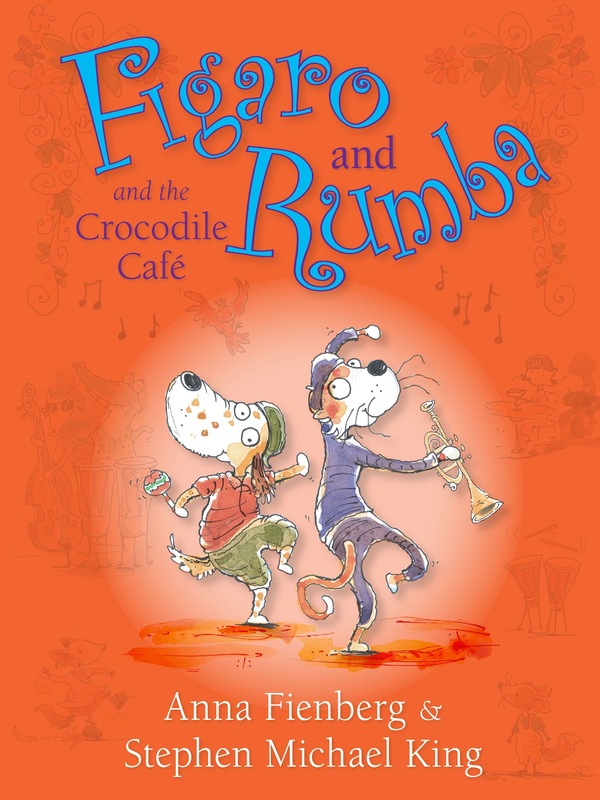 I have been looking for a chapter book to read with Wild Man so I was pretty excited when Figaro and Rumba and the Crocodile Cafe arrived. I have such great memories of my parents reading me "one more chapter and then it is lights out" and I am looking forward to sharing that with my kids too. Figaro and Rumba and the Crocodile Cafe is the story of two friends, one bold and one cautious, who have an adventure on a Very Fast Train, meet a crocodile with conga drums and stop a catnapper. It is a sweet story and the interplay between adventurous Figaro and hesitant Rumba is really lovely. There is lots of action in the book but it happens at a more leisurely pace, which is perfect for younger readers (by that I mean four, five and six year olds) and there are lots of great pictures to break up the text. Stephen Michael King is one of my favourite illustrators. His pictures are scratchy and engaging and so full of character, and they are perfect for Anna Fienberg's quirky story which is full of friendship, excitement, being true to yourself and music. Not every mystery is resolved at the end of the story, so hopefully there are more Figaro and Rumba books in the pipeline! Who'll love this: Most kids will like this one, and it is brilliant to read aloud.